Like nessy one can’t talk about cryptozoology without Bigfoot coming up. S/He has many alias as they have homes across the continents. Yeti in the Himalayas, Yowie in Australia, and Sasquatch to the pacific north west of the US. I will admit that those aren’t the only places or aliases for the entity, just the ones off the top of my head. Even for those unfamiliar with cryptozoology have heard of Bigfoot or are at least familiar with the tell tale appearance. Tall yet stout form reaching upwards of seven to eight feet tall. Dark fur with ranging shades of reds and browns. Lastly the feet for which it received it’s household nickname. It’s temperament however is open game for many people. In some areas it’s very shy and prefers to stay as far away from us as possible. Others can be very aggressive in nature with some claiming to have seen them smack pigs against trees. 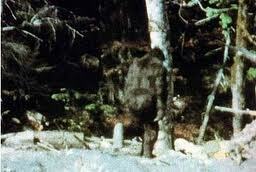 However, aside from word of mouth, like everything else involving Bigfoot there’s little evidence to its existence. For the many skeptics among us they cry out that if Bigfoot ( who we shall call Bobbies for the rest of this post ) truly existed there would be SOME form of evidence by now. Well we have to give them that, or rather would if we hadn’t already found evidence. Skeptics at that though go ” no hair samples without matches don’t count!” . No pleasing some people, honestly. Continuing on they rabble on about needing a body and that we’d need to find one. I guess they never bother to think why serial murderers leave bodies in the woods. Below is a short clip from the show Monsterquest that shows the depiction of a time lapsed deer carcass. Go ahead and click it, it’s not very gruesome I promise. Though the top of it is cut off, THAT is a Gilly suit. While many folks might do a better job in wanting to support the Bobbies those wanting to do simple joke would grab a Gilly suit. Just walk or run at a far distance and most would assume the wearer to be a Bobbie. Though I will note that it’s a severely bad idea to play dress up as one. There was an incident in the news recently where a man pretending to be a Bobbie was shot and killed. So yes no one pretend to be a Bobbie please, for everyone’s safety. Given all the information and the majority of sightings it’s no wonder that cryptozoologically based TV shows focus the most on it. There’s even more I can add on to this topic from all I’ve mentally collected over the years but for one blog post it’s just too much. I’ll have to come back to it another time to give more elaboration. Also if you see a Bobbie on the side of the road be careful and if they go to cross the road, give them the right of way. 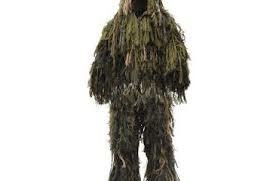 This entry was posted in Cryptozooligy and tagged bigfoot, explained, gilly suit, paranormal, sasquatch, yeti, yowie. 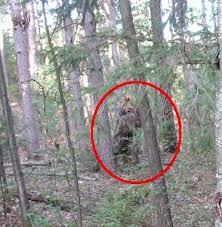 There are many of us who wonder if Big Foot really exists and if so, what is he? We wonder about a lot of things. Ever wonder if psychics are really clairvoyant or are they just really good at convincing people. Gigantopithecus is what he is to some folks.